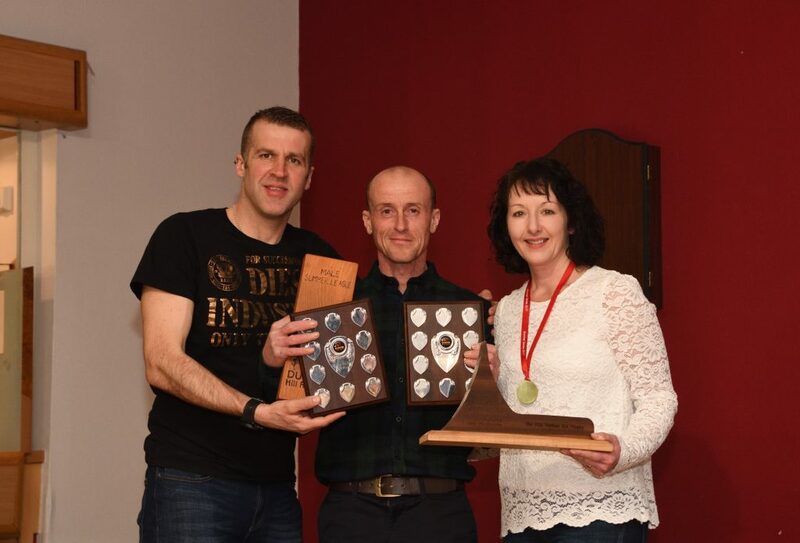 2018 is off to a strong start for Dunoon Hill Runners. 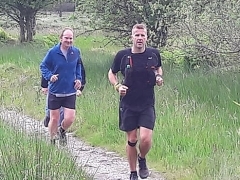 Attendance was boosted lately by the presence of over 30 beginners, most of whom concluded 10 weeks of training, culminating in a 10K trail run around Glenkin forestry. The club is now delighted to welcome many of these new runners aboard as full members, bringing the membership total to over 100. It has been encouraging to see the surge in interest in running on the scenic hills of Cowal, even attracting residents of Inverclyde along to training nights. 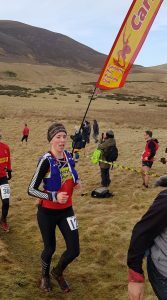 Meanwhile, the first hill race of the season took place on 10 February, the tough and notorious Carnethy 5 on the chilly Pentland hills. 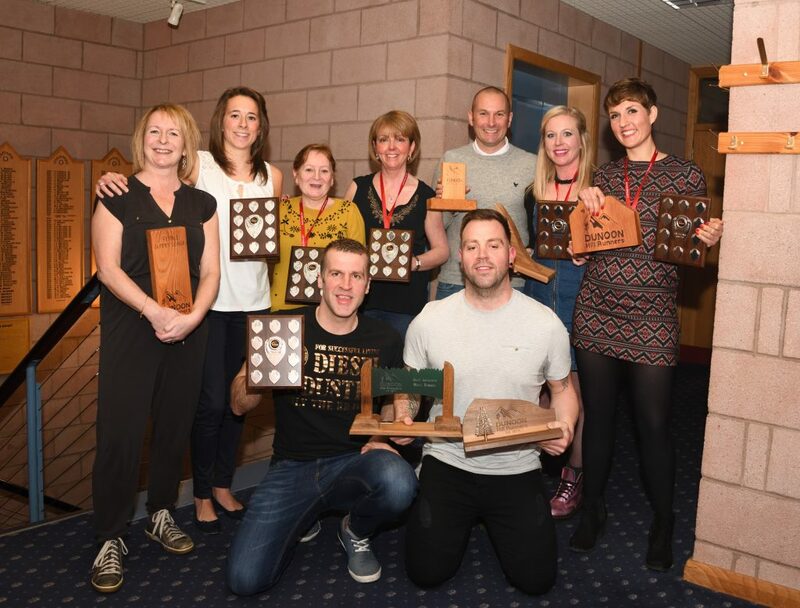 A strong team of 11 Dunoon Hill Runners was entered in this edition, each of whom put in a formidable performance which was a credit to the club. Overall, the men’s team placed eleventh, and the women’s team seventh. First to complete was Grant Mackellar in a very speedy 1:00:23. Despite beating his previous year’s time by nearly 4 minutes, Grant’s reaction was, “I’m a little disappointed not to break the hour, but it gives me a target for next year”. Ricky Reid took over a minute off of his 2017 time, coming in at 1:05:23. A delighted Bryan Fitzpatrick saw a personal best of 1:09:34, an almost 9 minute gain over the previous year, and a colossal 28 minutes off of his 2016 time. 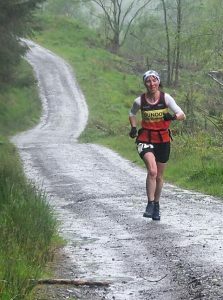 First Dunoon female in was Fiona Ramsay in a superb 1:16:05. She was followed by Sara Cudahy in 1:17:20 and Lucie Noakes in 1:19:41. Sara and Lucie improved on their 2017 times by almost 2 minutes and over 4 minutes respectively. Also notably, Jean Mclennan took over 8 minutes off of her 2017 time, and placed seventh in her category of F50 with a time of 1:24:52. 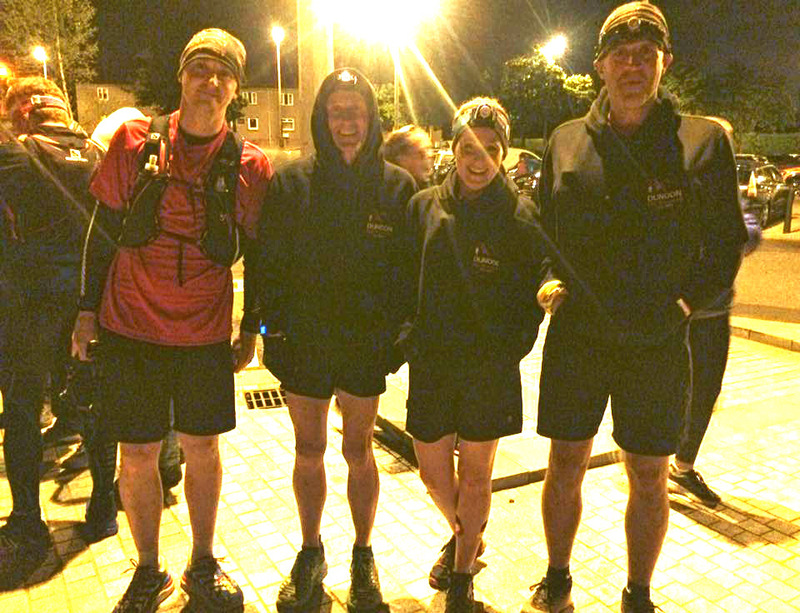 Completing the team were Kat Sims (who set a PB of 1:20:11), Ross Morley-Trapnell (1:20:26), Richie Longster (1:24:37) and Steve Danby (1:35:53). This was Fiona, Ross and Steve’s first experience of the Carnethy 5, which Ross described as “brutal”. The club will be having its AGM and Prizegiving at Cowal Golf Club on 24 February 2018 (at 7 pm). This will be preceded by a Handicap Race at Glenkin earlier in the day. 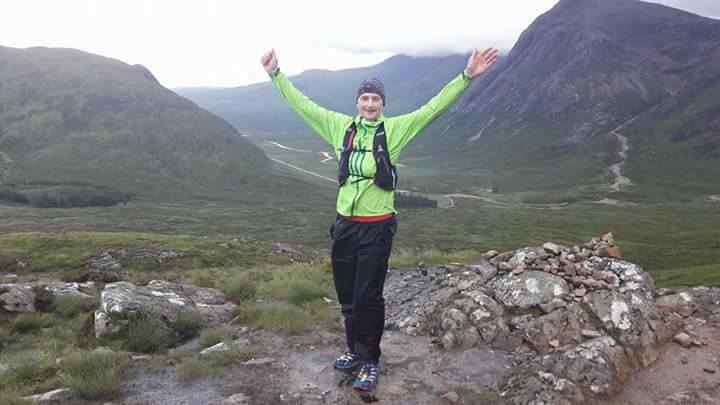 “The Carnethy 5 hill race is a 6 mile run which takes you on a loop around five peaks (totalling 2,500 feet of ascent) before returning to the finish. Having the race in February makes it that little bit more interesting and leaves us all wondering each year what weather we will face. The last two years I have taken part, the weather has been nothing short of horrendous, so this year we were ready for anything. As luck would have it, the weather was in our favour – some sunshine, a little bit of rain and some strong gusts of wind – much better! It was strange for once to be able to see the tops of the hills and where you were going, it made it a bit more enjoyable. After the mass start of 500 plus runners, you find yourself in a disorderly line to begin the first ascent up to the top of Scald Law – a real test for the legs and not the easiest of starts. You then take on 3 more hills (South Black Hill, East Kip and West Kip) before running right back down to a flat stretch for about a mile until you start the final climb up Carnethy Hill. This is the last hill, the one that puts your tired legs to the test especially with a nasty false summit! After a jelly baby half way up, which took me a good 5 minutes to eat, I was at the top of the last hill – a massive relief with only the downhill left to go. This is my favourite part – head down, arms out and letting my legs do all the work. Entries for the Dunoon 55K Ultramarathon and Relay 2018 are now open, presented by Dunoon Presents, and proudly supported by Dunoon Hill Runners. This year’s event will be held on Saturday 6 October 2018. Get your entry in here, while spaces last! Dunoon Hill Runners will commence training sessions for beginners and those returning after an absence from running on Tuesday 14 November 2017. These training sessions will take place over a 10 week period (not including Christmas/New Year) and participants will be asked to complete a Temporary Membership form on the first evening. A fee of £10 will be charged to cover the 10 week period. A base level of fitness is recommended. Runners must be 12 years of age or over. Attendees will be asked to register at 5.45 pm and runs will start at 6 pm. Please keep an eye on the club calendar for locations. Trail running shoes are advisable, and a head torch will be needed. Anyone who is interested in coming along, please let Morven Walsh know. Minutes of the Dunoon Hill Runners Committee Meeting held on 13 September can be found here [PDF]. 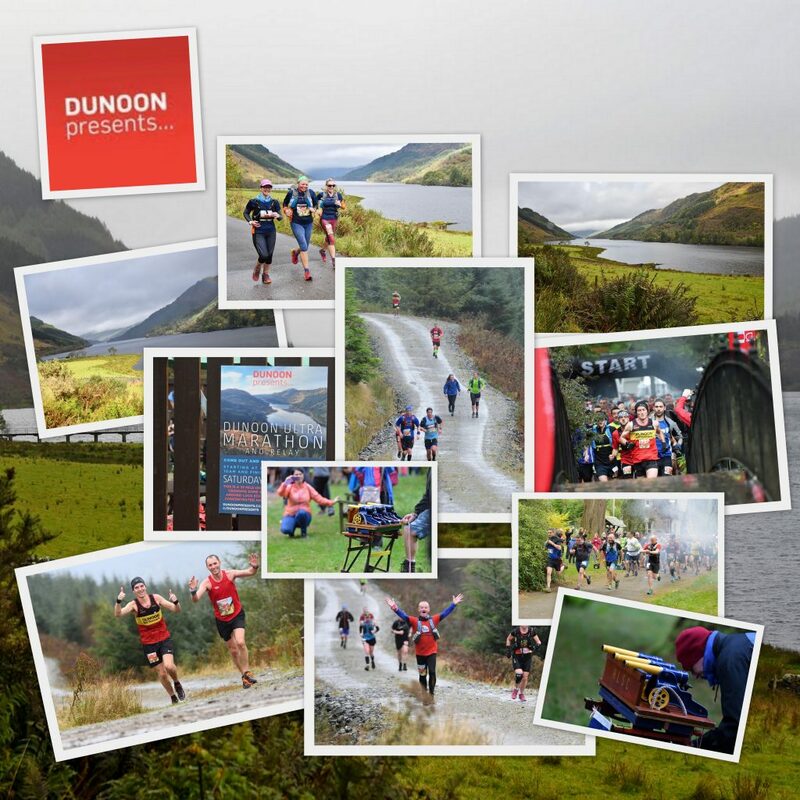 Extra places released for Dunoon 55K Ultramarathon! 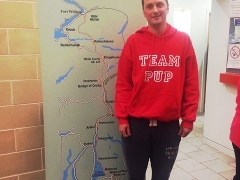 “Thanks to all the ultra runners who contacted us to say how disappointed they were to have missed out on a place in this year’s sell out Dunoon Ultra Marathon on Sat 7th October – we listened and with one month to go until the big day…. we have released a VERY LIMITED number of EXTRA PLACES! These places are available for solo runners, not in the relay. We know these will sell out so you will need to be quick! 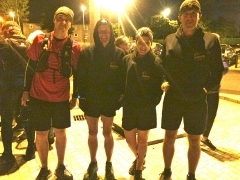 At 1 am on Saturday 24 June, four Dunoon Hill Runners lined up at the start of the prestigious West Highland Way Race. 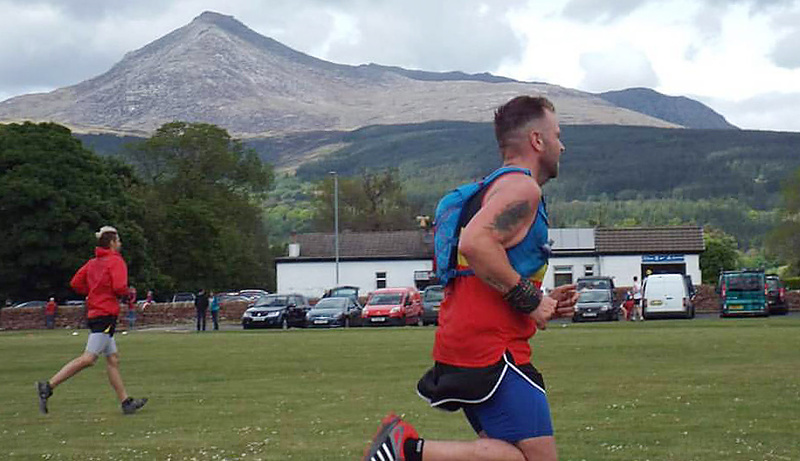 Over a course distance of 95 miles, competitors would spend up to a day and 2 nights running between Milngavie and Fort William, a formidable prospect for even the most experienced of ultra runners. Always a highlight in the club calendar, a full crew of supporters was in attendance, either providing assistance at checkpoints or pacing runners from Auchtertyre onwards, as permitted by race rules. Fresh off of his Kintyre Way Ultra race win, Michael Tweedley set a fast pace from the outset, which saw him holding a place in the top 5 leaders for some time. 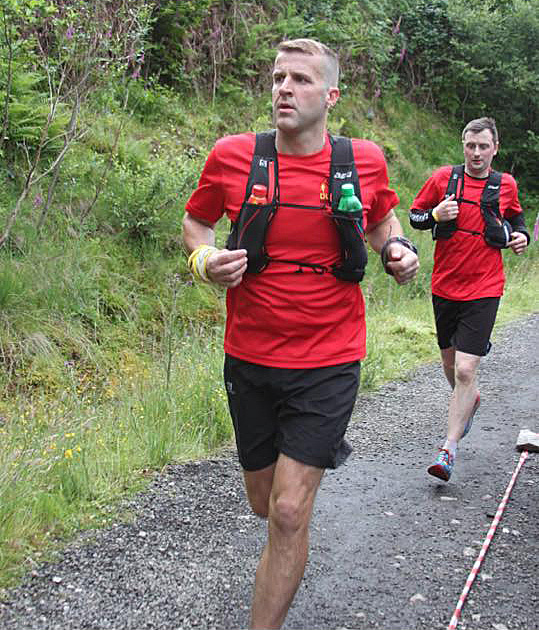 Club hopes were dashed, however, when Michael succumbed to injury and withdrew from the race after over 60 miles of solid running. Remaining on the course were Lisa Marshall, Ricky Reid and David Wilson. This was Lisa’s first time attempting the full course, having run over half of it in the Highland Fling race earlier in the year. It was unfinished business for Ricky, having had to withdraw mid-race in 2016, and David was returning with an eye on improving his completion time from the previous year. With memories of the sun-baked, midge-infested 2016 race, very different conditions faced competitors and supporters alike this year as bad weather closed in during the later hours of Saturday. Full waterproof attire and a tough mental attitude were needed to cover the final sections in the eary hours of Sunday morning. 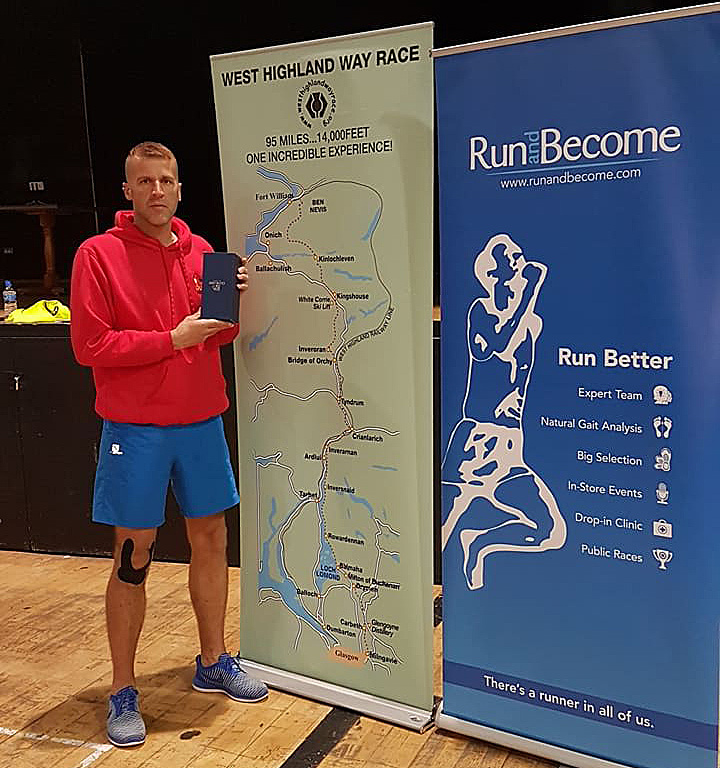 David was the first club runner to complete the distance, in a time of 25 hours and 45 minutes, successfully achieving his goal by taking over two and a half hours off of his previous year’s time. Proving that persistence pays off, Ricky was not far behind at 26 hours and 17 minutes. It was an emotional finish for Lisa as she reached the course end in 30 hours and 19 minutes, a tremendous effort of stamina despite a niggling injury. 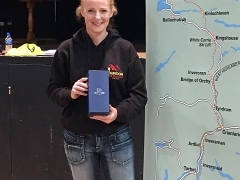 All finishers were presented with the much coveted West Highland Way Race goblet in recognition of their achievement. 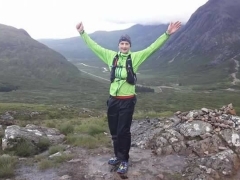 Despite some disappointment at this race for Michael, it was some consolation for the club to find extensive coverage of his winning performance in the Kintyre Way Ultra race on the BBC’s “Adventure Show”, aired on 27 June. 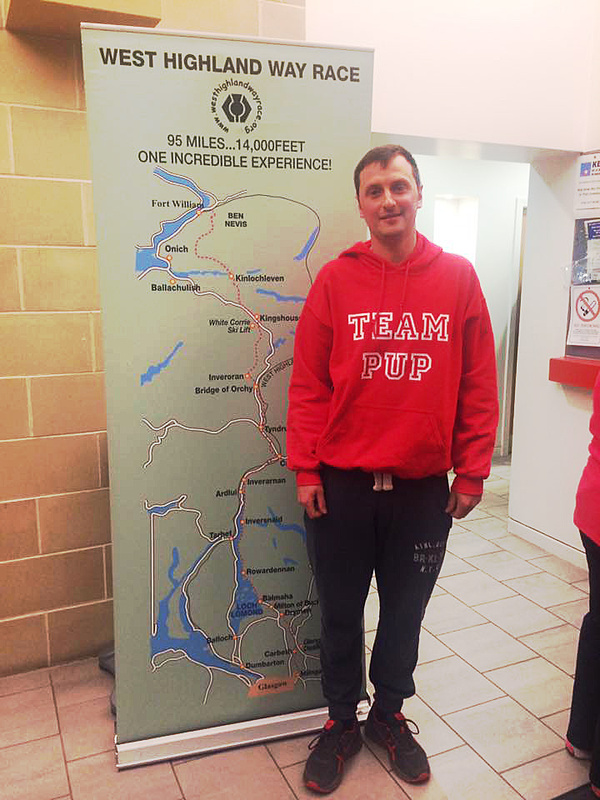 With the Dunoon Hill Runners vest on prominent display, it provided excellent publicity for the club and for the area. 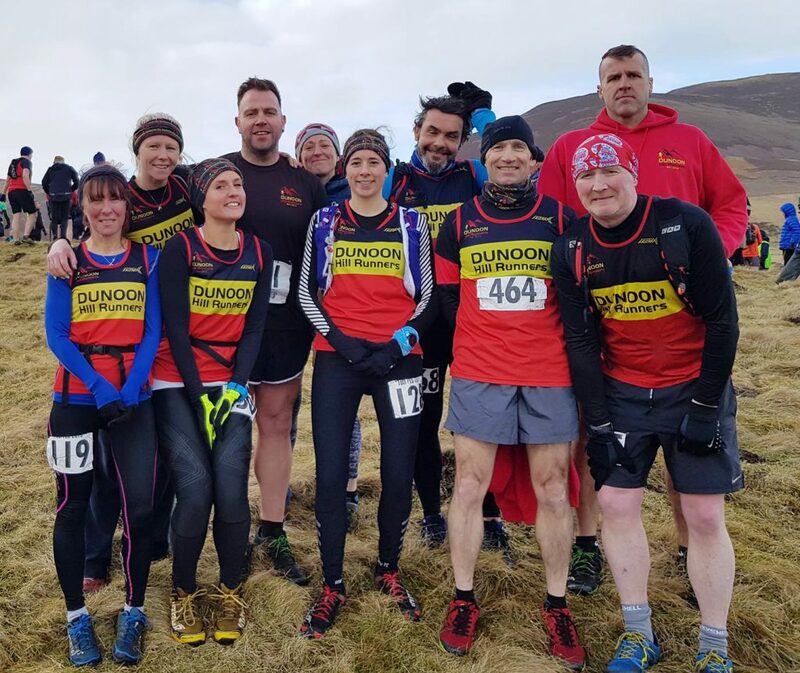 It’s been a busy summer running season so far for the Dunoon Hill Runners, with club members competing in races throughout the country. Kat Ullrich took part in the Salomon 50Km Ultra Trail Race at the Keswick Mountain Festival, a very tough route on mostly technical single track and featuring 2000 metres of ascent. She placed an impressive fourth in her category of Senior Female. In other races, Lucie Shaw, Kate Taylor and Nicola Newman completed the Edinburgh Marathon, while Rachel Wells saw success in the Polaroid 10K race series in Balloch. Jean Bryson and Morven Walsh finished the 8.5 miles Milngavie Trail Race which they reported as a well-organised and enjoyable event. Shona Ritchie, Lucie Shaw, Christine Boyle and Sheila Ireland all completed the Simplyhealth Great Women’s 10K Run in Glasgow. John Colquhoun and Michael Pearce went slightly further afield, racing in the Blackpool Half Marathon. 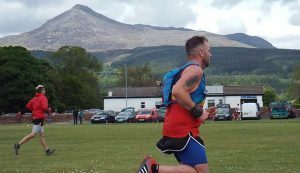 On slightly hillier terrain, Bryan Fitzpatrick, Lucie Noakes, Grant Mackellar, Claire McFadden and Kat Ullrich successfully finished the challenging Goatfell Hill Race on Arran in impressive times, with Grant coming in 34th out of 220 runners. Bryan took 37 minutes off of his personal best time for this race, despite a nasty tumble! 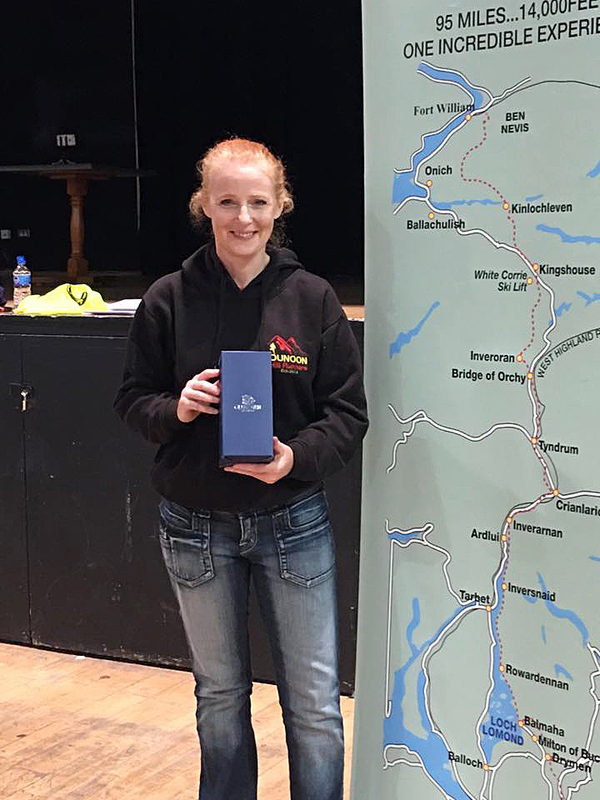 Kirsty Mundell came in third in the Senior Female Vet category of the Rattray and Blairgowrie Half Marathon. And last, but definitely not least, Jean Mclennan led the way at the Brack Hill Race in Arrochar, coming in first female. The club’s own local summer series of races starts on 20 June with a 10K trail race in Glenkin. The series will also include a long hill race in July, to which other running clubs will be invited. 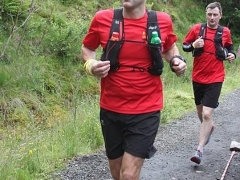 And 4 club members are presently preparing for the 95 mile West Highland Way overnight race on 24 June, an annual calendar highlight for participants and their support teams alike.